Zoomer is back! He’s twice as smart, twice as funny and will steal your heart twice as fast! With 2X the tricks, you can teach him everything a puppy needs to know. Call his name, help him learn and watch how excited he gets when you reward him with a real good belly scratch. 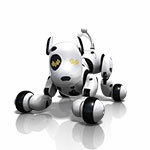 Kids can run, play and laugh as Zoomer excitedly wags his tail and responds to their commands. Zoomer is smart as a whip and understands English, Spanish and French. He even follows your movement with his cute puppy eyes. Teach him twice as many tricks and before you know it he’ll be laying down, rolling over, chasing his tail and much more! And with his all-new friends Bentley and Shadow, there’s a whole line of Zoomer pups waiting just for you! Just like real dogs, they love to play, bark and interact with one another. When you adopt Zoomer into your home he can’t help but feel like a real part of the family. 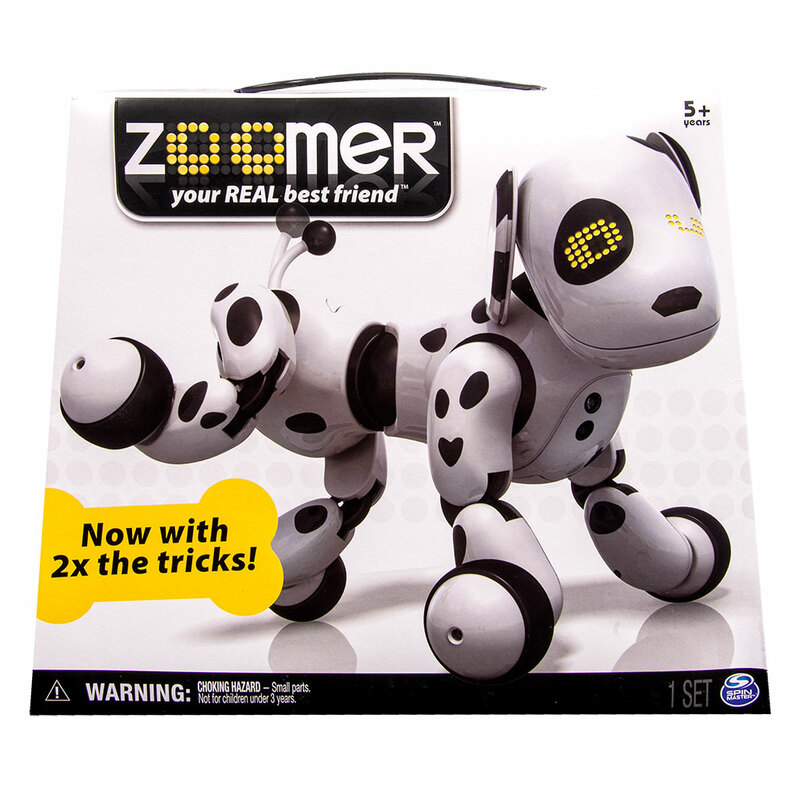 Bring home the smartest pup around with Zoomer! Zoomer is back! He’s another year older and twice as smart! 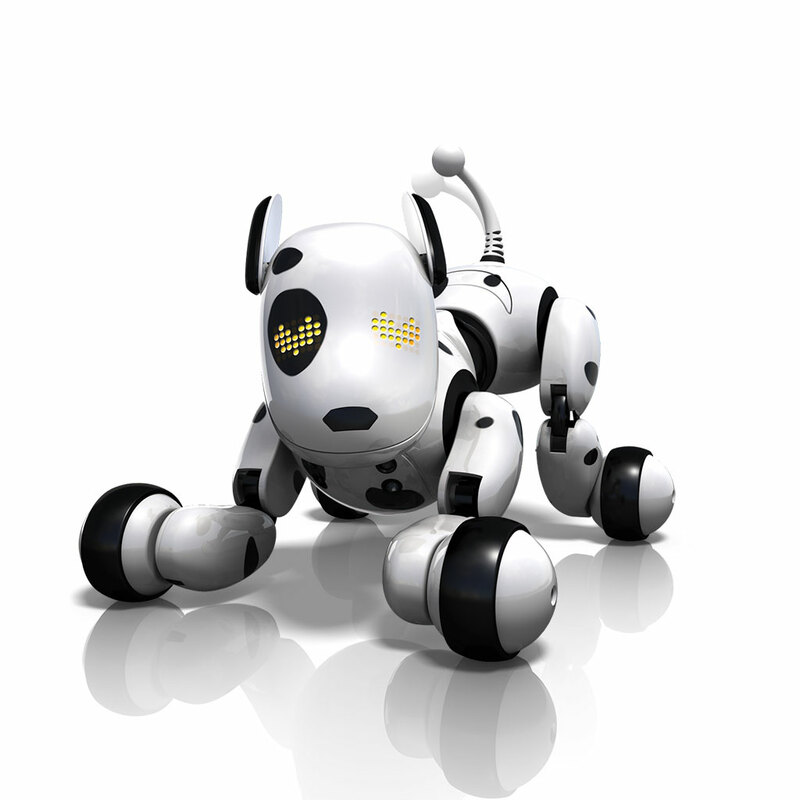 With 2X the tricks, he can’t wait to bark, talk, scoot around and play with you! Just like a real puppy, he loves to learn new tricks. Teach him to speak, sit, lay down, rollover, shake a paw and more! Zoomer is so bright he understands your voice in English, Spanish and French. 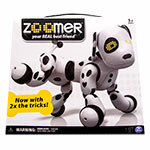 Zoomer is made for children who can’t wait to adopt a real puppy ages 5+. Recharge Zoomer by using his included USB cable.